At HLN, we’re passionate about good design especially when it comes to loft conversions. As we’ve mentioned before, a good quality loft conversion will not only provide you with additional living space, it will also increase the value of your home. In fact, recent research by Nationwide has stated that a loft conversion could add up to 20% to the value of your home! A worthwhile investment, indeed! In previous blog posts, we’ve discussed the different types of loft conversion available to home owners. In this blog we explore which loft conversion style is best suited to the 6 most common types of roof in the UK. Which style you choose will mainly come down to your budget and the type of roof your house has. Other restrictions also come into play such as planning permission, building regulations and whether or not you live in a conservation area. We discuss these in more detail a little later on. Mansard: a style of roof characterised by a double slope on all four slides. The lower slope is typically steeper than the upper slope. Gambrel: a hybrid of a mansard and gabled roof, with a double slope on either side. As with mansard roofs, the lower slope is typically steeper than the upper slope. Flat: these appear to be flat but in fact incorporate a slight slope to allow for water runoff. Hipped roofs are quite versatile due to the way in which they are constructed. If you are limited by budget, a simply Velux loft conversion will suffice – aside from interior renovation work, the only major alteration will involve the installation of Velux window on one or both sides of the roof. Installing windows on both side of the roof will allow for maximum light intake. For maximum space, however, a hip-to-gable loft conversion is the best course of action. As the name suggests, this style of conversion involves transforming one side of a hipped roof into a gabled roof. This is achieved by extending one side of a sloping roof outwards. Be sure check out our guide to hip-to-gable loft conversions for more information on how this is achieved. Again, due to the style of construction, gabled roofs can easily incorporate a simple Velux loft conversion. In fact, as the roof only slopes on both sides, a Velux loft conversion on a gabled roof provides more vertical head space than a hipped roof, ideal if you are limited by time or budget. Another great feature of a Velux loft conversion is that dormer windows can be added later on down the line, with the added benefit of extra height and space. 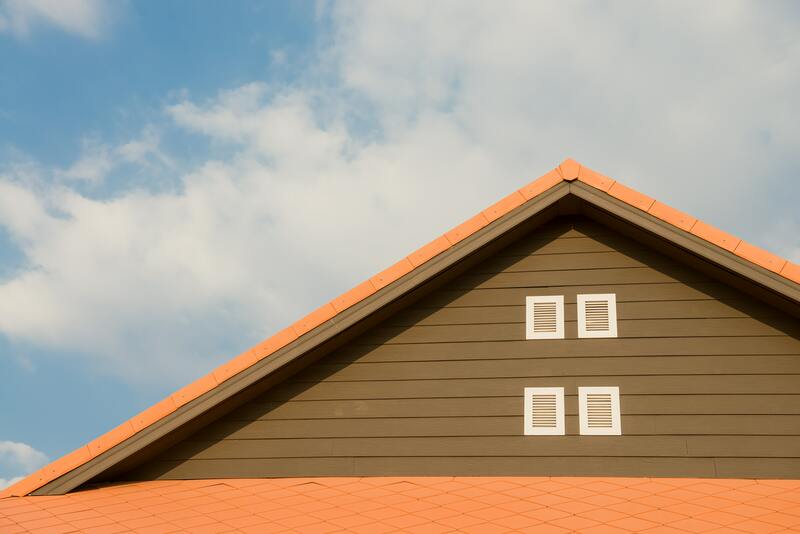 If you already own a property with a mansard roof, you’re in luck. The space will likely already be considerable in size, so aside from internal renovation work, you may wish to simply add Velux windows. For the more adventurous of you (and budget allowing) you may wish to add dormer windows for a quintessentially French look. Gambrel roofs can be seen as a hybrid of a mansard and gabled roof, in so much that they feature a double slope on 2 sides of the roof only. As with mansard roofs, dormer windows are the best course of action for maximum space and light intake. Saltbox roofs are similar to gabled roofs, although one side of the roof is much longer than the other. 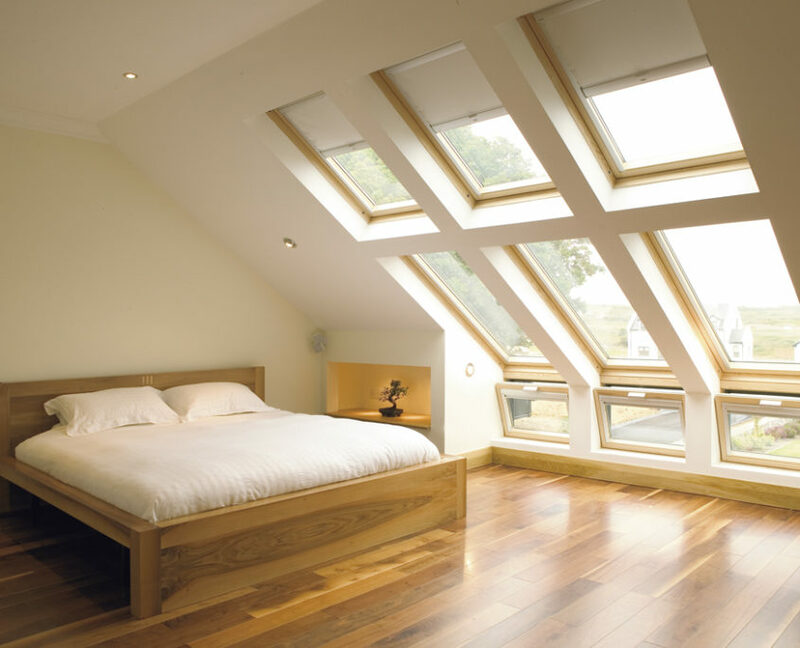 Therefore, we recommend either a simple Velux or dormer loft conversion. With regards to window placement, it all comes down to personal taste, although dormer windows may be best suited to the long section of the roof for a more aesthetically pleasing look. As you can imagine, flat roofs are problematic when it comes to loft conversions – there isn’t exactly much room to play with. One option would be to remove the existing roof and add a pitched roof. Although this is a costly procedure, doing so will provide you with a new room or suite of rooms to play with. This is something to consider if you wish to add value to your home before selling. Alternatively, if only part of your roof is flat, above the garage for example, you may wish to consider a single storey extension. This all depends on the type of roof you have and the style of conversion you wish to go for. Generally speaking, Velux and Dormer loft conversions fall under what is known as permitted development, a planning permission exemption subject to certain limits and conditions. Planning permission is usually required for Mansard and Hip to Gable loft conversion, as substantial roof alterations are required. Be sure to check with your local planning authority for further information on planning permission and permitted development before carrying out any building work. Building regulations are minimum standards for design, construction and alterations to virtually every building. In essence, any work you carry out to your loft will require building regulations approval. Further information on building regulations approval can also be obtained from the local planning authority. Conservation areas are usually established to preserve an area’s aesthetic. For instance, strict rules limit the amount or style of work owners of Georgian or Edwardian era houses in London can undertake. 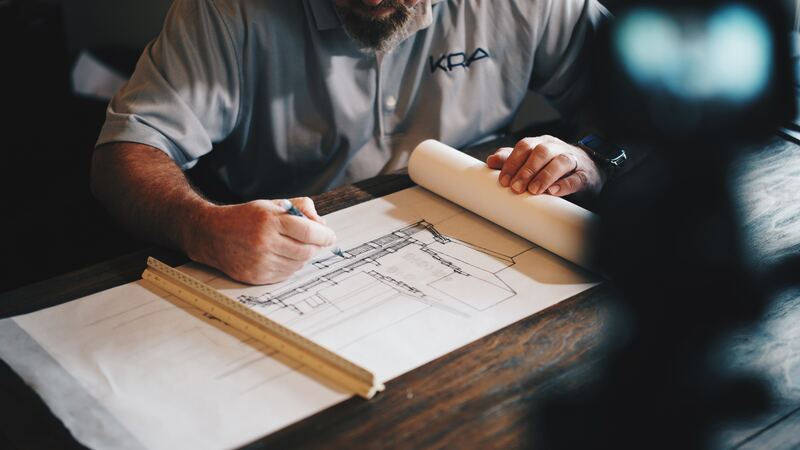 You may still be able to make alterations to your home if you live in a conservation area, although you will probably have to submit a full planning application to the local planning authority. Whether or not planning is permitted will depend very much on the style and extent of the work you wish to carry out. For advice and further information on selecting the right loft conversion for your home, please contact our engineering department on 020 8099 6388 or email us at mail@hlngroup.co.uk.